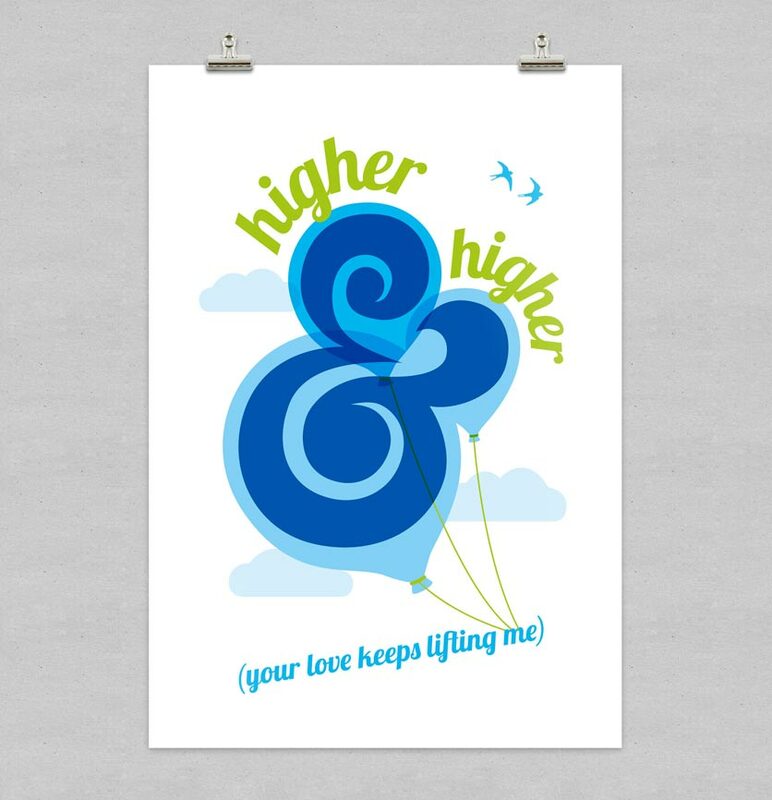 I was commissioned to produce a screenprint based on the lyrics of Jackie Wilson's Higher & Higher, to celebrate the first dance at a friend's wedding. Like most designers, I've got a bit of an obsession with ampersands, and took the opportunity to use one as a focal point for the design. © Chris Woodward Design. Created with Berger.